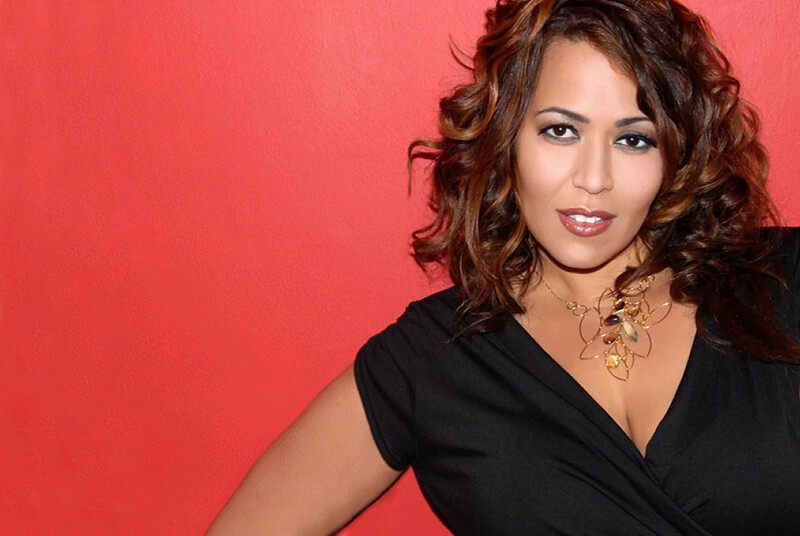 Judy Torres is a Puerto Rican freestyle music artist. She is a dance-pop singer. Growing up in the Bronx, New York, and attending St.Thomas Aquinas and then high school at Aquinas High School, an all-girls Catholic high school, she was the oldest of five siblings. She scored club hits with songs such as “Please Stay Tonight,” “Come into My Arms,” “Love Story,” “I Love You, Will You Love Me,” and “No Reason to Cry,” a love-themed freestyle. Her debut album, Love Story, which was released in 1989 on Profile Records, is a freestyle collection, which included Ken Cedar-penned “Weakness of the Body”. Her second album, My Soul, was released in 1992 and received good reviews by critics and fans alike. The album features such hits as attitudinal song “Every Little Lie,” which tells a tale of an unfaithful man who, instead of ending the relationship amicably, decides to lead her on. Then she confronts him about it. .
Torres previously had a regular Sunday-night Freestyle show on New York’s popular radio station WKTU 103.5 named “Freestyle Free for All.” She is currently on-air at KTU from 3pm to 8pm on Sundays; she has been a performer and on-air personality at KTU for over 17 years. In 2001, Torres scored a club hit with the sentimental love song “Back in Your Arms Again.” It peaked at #7 on the Hot Dance Music/Club Play chart, her highest charting single yet. It was also featured in a remix version on the popular compilation series White Party. In 2004, she released her debut single on the label Robbins Entertainment that was titled “The Air I Breathe,” which featured freestyle artist Collage. It is a Hi-NRG song produced by A-List producer Tony Moran. The single performed modestly on the charts, making the Top 40 of the Hot Dance Music/Club Play, peaking about #30. In late 2005, Judy released the single “Faithfully.” The song received airplay at dance stations. It is a cover of a 1983 hit by the band Journey. The single soon peaked at #1 as one of the requested songs on WKTU. Other Rhythmic/Dance format radio stations in the U.S. added the single from New York to their playlists. In August 2007, Torres returned to her Freestyle music roots with the single “I Don’t.” The song is a cover of Danielle Peck’s Top 30 country hit written by Clay Mills/Peck/Burton Collins. In November 2008, Judy released “Hell, No,” an anthem for abused women.